Valentine's Day is always a controversial holiday; some people absolutely love celebrating, while others cannot even stand the thought of all the love in the air. We've got you covered for the perfect gifts and date ideas for both types of people! Whether you're celebrating with your girlfriends or need to send a hint to your S.O., check out our faves this holiday! 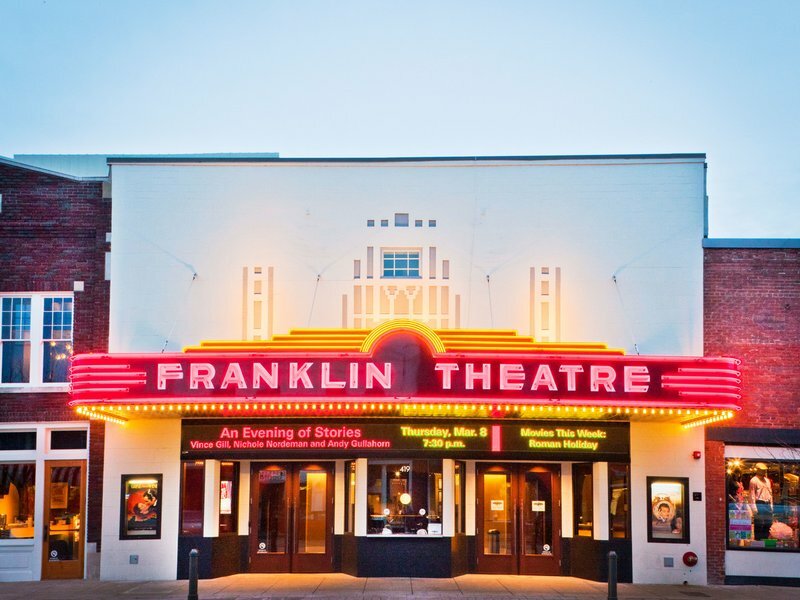 Franklin Theatre is a must at some point in your life, but especially fabulous this Valentine's Day! They are hosting a Beauty and The Beast Valentine's Celebration showing that starts at 8pm. With Nashville being a hot-spot for yummy restaurants (Franklin is not to be forgotten, 10/10 would recommend the delicious restaurants down Main Street or in the Westhaven Town Center), there are plenty to choose from for the perfect night out! Our best advice: always get the appetizer! Photo via Barcelona Wine Bar ; Photography by Tom McGovern. They say diamonds are a girl's best friend, but the way to our hearts is a beautiful bouquet of our favorite flowers. This is a simple gift that goes such a long way, and is a must for us on date nights! P.S. 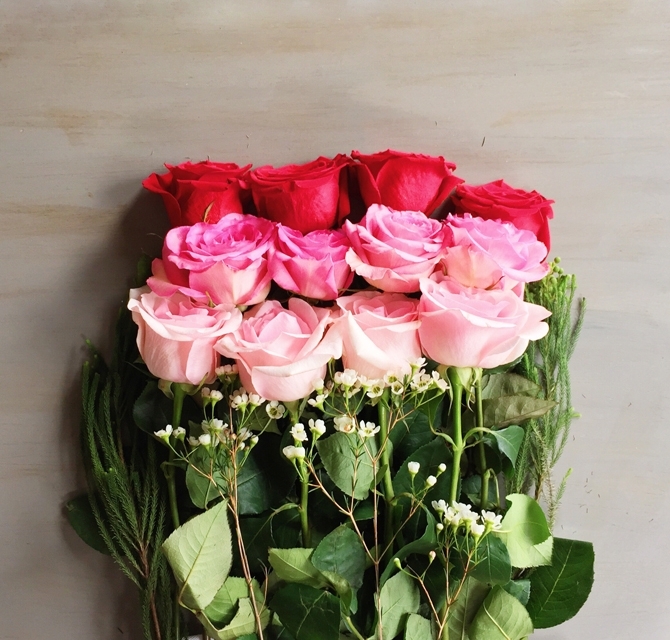 Flowers are not to be reserved solely for holidays; surprise your S.O. or friend on any given day! What girl doesn't enjoy a nice bath accentuated with bath bombs or a great bubble bath? We also love the scents from Library of Flowers perfumes. Pair these items with a Christen Maxwell cosmetic bag for a thoughtful, relaxation inspired gift. For the girl who enjoys a nice piece of jewelry, we recommend any of our lovely jewelry pieces. We have the spotlight on ElleAdorn necklaces, which are handmade in Madison, MS, along with earrings from Natalie Dohler Adornments handmade in Nashville. For the entertainer in your life, we are swooning over our speckled stemless wine glasses paired with a favorite bottle of wine. A fun idea to make this Valentine's Day a little saucier is gifting our Sweet Savina Hot Sauce or the Gold Coast Hot Sauce, which is slightly sweeter, making it perfect on fish! When you don't quite know what to get that special someone, a Sanctuary South gift card is a very safe choice! Anyone and everyone is sure to love you for this sweet gift! Last, but certainly not least is a sweet card! We love greeting cards for any occasion, and we have such great Valentine's Day cards. We hope to have inspired those who aren't so sure of the Valentine's holiday, and encouraged the ones who are already as excited as we are! Valentine's Day should be about celebrating all the ones you love in your life, so do what is comfortable and special for you and yours. Sanctuary South is here to help you in every way possible!